Look good, feel well with Body Raaga Wellness Spa! 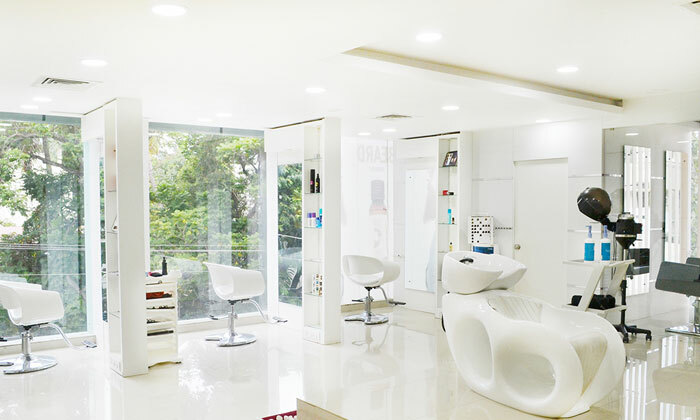 Located conveniently in Indiranagar, Body Raaga Wellness Spa is your one-stop wellness and beauty destination that offers a wide range of therapeutic spa treatments and nourishing beauty services. Sophisticated yet stylish, the spa-lon features spotless white interiors that lend it a very refreshing vibe. The decor comprises of all things classy and modern in subtle colors to ensure that the place is as appealing to and easy on the eyes as it is for the mind. Body Raaga Wellness Spa boasts of the latest equipment and the modern most products that it utilizes to render all services. The beauticians and masseurs here are all well trained, experienced and dedicated and offer their expertise with friendliness. A trip to Body Raaga Wellness Spa is sure to make you look and feel fabulous. So then, what's the wait for?